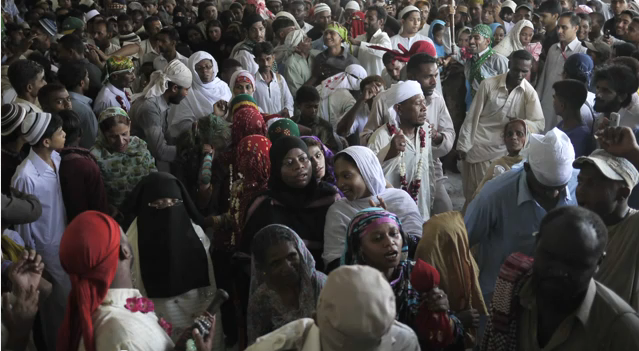 Not many are familiar with the ’Sheedi’ people or the indigenous Africans of Pakistan. They are a group that trace their ethnic descent from Afro-Arabs or Black Africans, with many claiming their lineage from Hazrat Bilal. Owing to interesting yet conflicting accounts of the linguistic background to the formation and origin of what they are actually called, the Sheedis are also addressed as Sidi, Habshi or Makraani. Others refer to two historical happenings of the 17th Century [ The first is doubtful ], Omani Arabs ruled Balochistan and often used to practice the trading and buying of African slaves. The second referal is towards the reported arrival of the Portugese slave traders in the Indian Subcontinent, who sold a number of them to princes. It may be deduced from all this, without generalization – that majority of Sheedis set their foot on this soil, as slaves. A conclusion affirmed by history: the origins and beginnings of Malik Andeel , Malik Ambar and Sidi Badr before their accession to power in ‘united India’. ‘There are two types of Sheedis in Pakistan: Arab-originated (Makranis), who speak the Balochi language and live in Southern Balochistan. 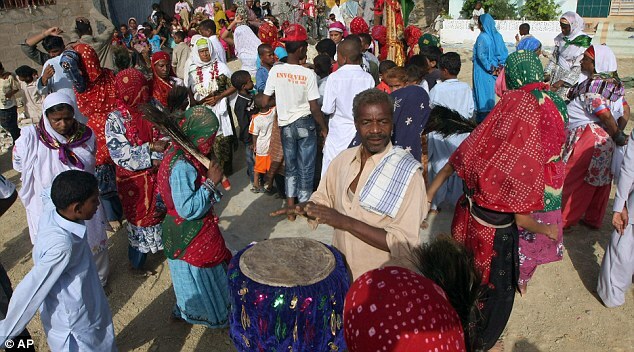 And the others are Africa-originated living in Sindh speak Sindhi language and are called as “Ghar Java”. Sheedis are exceptionally capable of holding quite a set of skills and much flair, especially in sports. 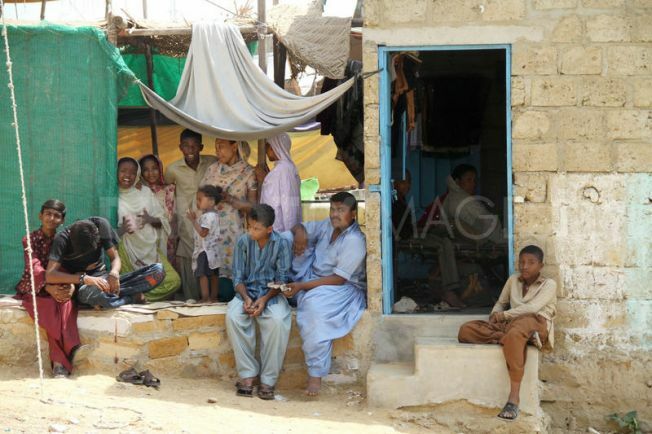 Those settled in the town of Lyari, which is noted to be the centre of this community and ever heated criminal activity along with being the favourite battleground of different gangs, are famed for their incredible yet unpolished potential in boxing, football and other sports. The most prominent of their events is the the annual Sheedi Mela, the vortex and the crescendo of the commemoration of the diversity that they represent, held in the rural area of Manghopir which is named after the Sufi Pir, Sakhi Sultan. At the heart of the four-day festival are the crocodiles in the famed Manghopir pond, who are regarded as the disciples of Sakhi Sultan, particularly ‘Mor Sahib’; the eldest or the chief of the crocodiles. With the very commencement of the festival, a vivacioulsy contagious spell of energy, enthusiam and a dynamic deluge of cultural celebration is unleased. The ’Dhamaal’ and dance to the music and beating of the Congo Drums, and the practice of jumping over fire, are a clear homage to their rich African heritage and roots. A central ritual in the Sheedi Mela, is the act of garlanding the ‘Mor Sahib‘, to which many pray to also. 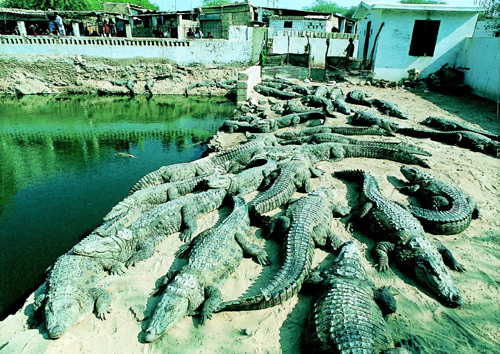 ‘The festival, which bears religious and cultural significance for the Sheedi community, is organised by members of the community who make offerings of sweets and meat to the sacred crocodile. 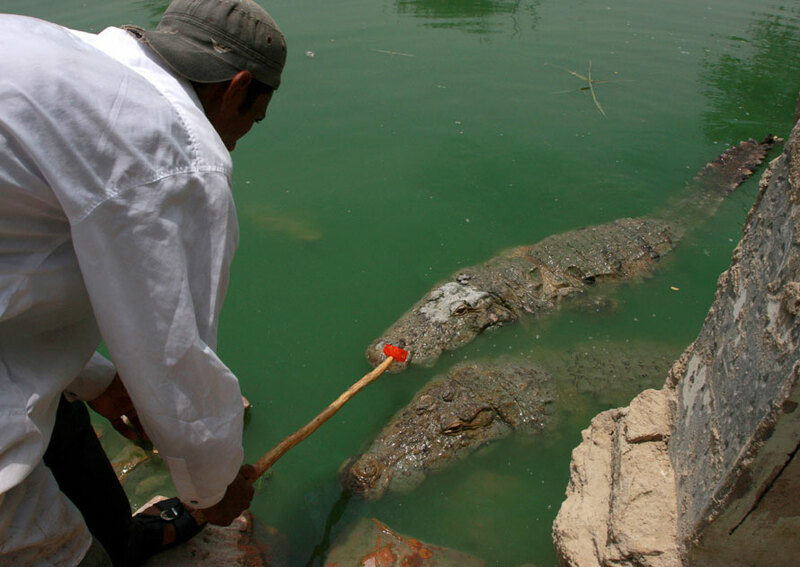 According to the devotees of the Mor Sahib, people from the Sheedi community must offer the Mor Sahib a goat’s head, along with the sweets and meat, to ensure that the sacred crocodile continues to bless them all year round’. The Mela basically, serves as an evidence of the fact that the Sheedi people in Pakistan have unitedly maintained – that although, a lapse of centuries has occurred since their ancestors first settled or came here, they have admirably and firmly preserved their own distinct and vibrant culture, customs, mores, social values thus, every element that constitutes one’s identity. * Chagatai Khan’s post on the Sheedis of Pakistan is thoroughly knowledgeable, for those who wish to read more. This entry was posted in Pakistan-Centered. ← May He Fly High In His Final Flight: Air Marshal Nur Khan. I would like to disagree with your research specially about Baloch history and the term “Makrani” that you have used in this post. Whatever you wrote about Baloch is totally against the Baloch history which says that Baloch’s roots are from Syria, Iraq and Iran, they were ‘Khanabadosh’ kind of people, who used to travel to different places so they reached in this part of Pakistan as well. In Iran there’s a province called Sistan Balouchistan where Baloch’s are in Majority, which is the biggest province of Iran, and they’re living in different provinces of Iran as well and You can find the presence of Baloch’s In Afghanistan’s Helmand Province. Saying that they came as Slave from Africa in the 17th century is utterly wrong, i would like to clarify about the Omani Arab that Baloch’s migrated from Makran’s coastal area of today’s Pakistan and Iran’s Coastal area to Oman and there they joined Omani Army, In-fact 40-45% of today’s Omani Nationals are Balochs called as Al-Baloshi, they migrated there centuries ago, and for your kind information the Finance Minister of today’s Oman is a Baloch, namely DARWISH BIN ISMAIL AL-BALUSHI, I’m writing this comment from Oman and i researched very well about Omani Baloch’s (Al-Baloshi’s) in-fact my cousin is serving in Omani Army, so i’m very sure about it. Hey, firstly, thank you for sparing time to read and comment. I’d like to clarify some of the mentions made in this post, that you raised as points of contention. 1. I wrote, that the Sheedis are often addressed as Sidi, Habshi or Makrani. It was not meant to imply that all Makranis are Sheedis or that they are rightfully addressed as that. The mention of difference of names or alternate names, was not made in either conformity with historical background (specifically Baloch history) or any claim to be associated with it – only to state, on the basis of the fact, as you may even have known through your knowledge, that many a sites and at many places, it if often said that Sheedis are called Makrani. And that too, is because of conflicting accounts of what they should be called; clearly signalling that the use of these terms may be wrong or inappropriate. 2. As this was post was neither focused on Baloch history/people or the Omani Arab/Sheedi – I differ here. The reference towards the reported happening of Omani rulers bringing Arab slaves with them, in relation to the settling of Sheedis in Pakistan, is a widely-written about ‘citation’ and because I had my doubts about it, I mentioned it for the sake of it, at the end of the paras covering the origin of Sheedis in Pakistan. It was, in no way, meant to be an affront to the Baloch people. And sense commands that one understands that the Sheedis and Baloch are two different races. Obviously, they are not one at all. 3. I deduce, from your comment, that the main issue you objected to was the use of the words Makrani. Just to dispel your apparent misconception, the particular word has been mentioned keeping in mind the collation and collection of information from several reliable sites, the frequent quoting and switching of the word Makrani with Sheedi would make anyone believe that it is only a matter of alternate names used for a single people and where they live (E.g: A Hazara living in Lahore, will be called a Lahori but that doesn’t mean he is a Punjabi just as a Sheedi living at Makran may be called a Makrani, albeit wrongly if one says so)- not that they are of the same race, origin, history et al as those living in Makran. Thus, nowhere in my post did I relate the Sheedis to the Baloch. I do, though, suggest that just to confirm why I wrote and mentioned some terms here, you do your own casual Googling or research on the Sheedis in Pakistan and then view how much the Makrani/Oman Slave-Trade references appear, which I now deem may be incorrect – in light of your enlightening comment. Nonetheless, I proffer an apology if you considered any part of my post as contrary to correct knowledge or an insult to Baloch history/people. Criticism duly noted, made some changes in the post. 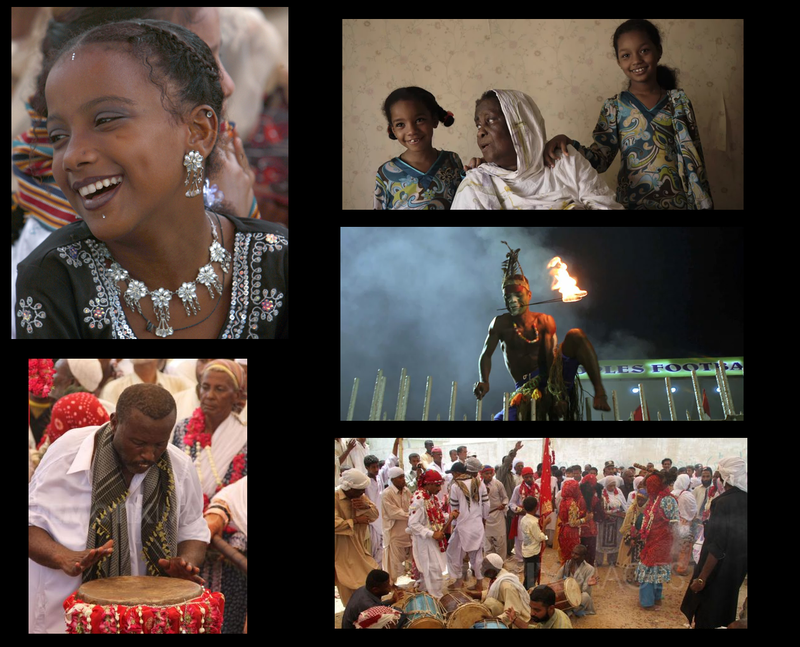 I remember the first time I actually considered thinking about the Sheedi beyond the conventional Makrani stereotype was a documentary that aired in Kara. It was followed by a Q&A with the audience, where a non-Sheedi audience member berated the Sheedi on stage for not being authentic enough/not knowing enough about their region and history. I am not sure who was right, but the discussion above reminded me of it again. We don’t even let the forgotten speak for themselves. This was a really fun read, and a very unique post. Your cultural appetite is a delight for us all. What lovely writing and thank you for sharing a people that I really know nothing about. I love the photos too. 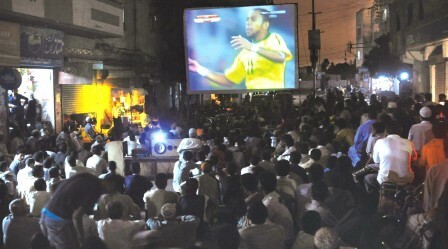 i attended a Sheedi Mela over a decade ago at Mangopir. I expected a lot of African style drumbeats and rhythm and dance, but was disappointed there was a little bit of drum-beating and there was no dancing worth mention. It was more like a walk from the Mazaar to the pond where “Mor Sahib” and other alligators were fed. I was told that in the old days, the mela was much like i expected, full of dance and colour and music. But over the years, specially during the period of General Zia’s Islamisation, Sheedis started to tone down their rituals. In fact, many Sheedis i spoke to would tell me they were Syeds, but the local people did not know how to pronounce the word so the term Sheedi was used. However, scholarly research i have seen is in line with what you have written about their origins. Your article, “hunter’s” comments and your clarification made for very interesting reading…….many thanks. Hafsa, what a brilliant post — very well articulated, an expression that lingers for some time. Your blogzine is a significant contribution and may you find inspiration in your ink — to advocate for change. Cheers. Thank you so much for your inspiriting words and your time; for reading it and commenting with such an encouraging vibe! That’s really interesting to know, it’s amazing how Pakistan has such a diverse cultural character and the Sheedis only add to its beauty! Proud of Pakistani diversity. Yes, Makranis, as they are called, exhibit very athletic characteristics. I wish I am able to earn an above decent earning in my life so I can put my plans to work. I have so many plans in my mind to help build communities without waiting for govt. aid/action. Sadly I am young and broke. But I believe, together, we can make it happen. 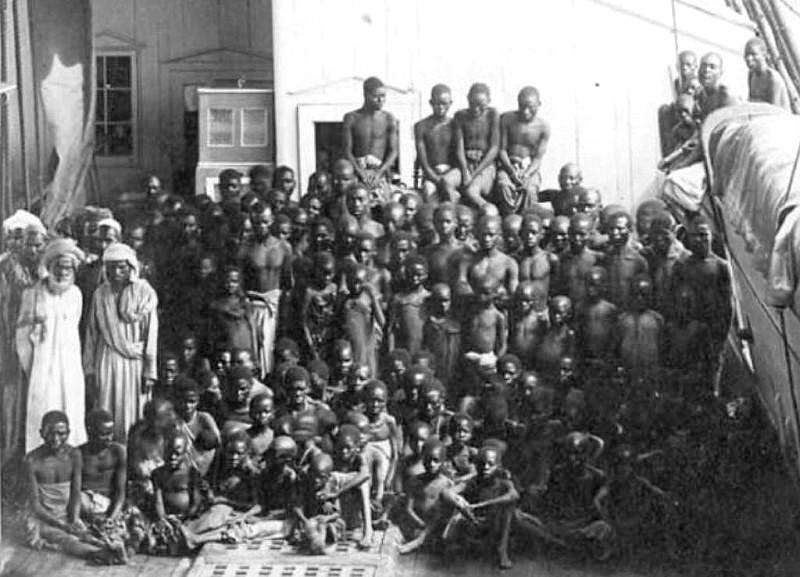 How do modern European think about slave trade? I am African American, and have been exploring my ancestral DNA for a while. I have been trying to make sense of all of the admixture results. I have small percentages of the Kalash, Baloch, and SE Asian dna was listed in my ancestral results. This is very interesting information. Thank you for taking the time to put in the research. Hi, that’s terribly interesting! I wish DNA tests were made necessary so that all of us could be acquainted with the diversity we possess, the beauty of it and the unity it inspires in relation to “others”. Thank you for reading, happy to hear you found the post worth your time. A thorough research about sheedis. Sheedi and Makran separate identity, while sheedi Makran region of a nation and is closely related to Sindh and Balochistan. It is wrong that they have brought with them but the people of Sindh. Which is five thousand year old civilization be the right research before writing. (Home Java) is an insult. Skinder Nizamani, but it is far from the facts I wrote her PhD research. Hello, thank you for reading and giving your feedback. I am currently writing a new piece on the Sheedi community, is it possible for you to provide your email so that I can send it to you for fact-checking and feedback? Thank you, I emailed you.